Disinfection Validations are used to validate the manufacturer’s disinfection instructions which require that each device or component be disinfected separately. Validations may be performed to support High-Level Disinfection, Intermediate-Level Disinfection, or Low-Level Disinfection processes dependent on the device’s intended use and reuse. These tests are typically needed when a device can’t be sterilized using elevated temperatures (e.g., steam sterilization, dry heat) or is not compatible for EO or STERRAD sterilization methods. Nelson Labs performs validations in compliance with AAMI TIR12, ANSI/AAMI ST81, and FDA guidance documents. For Disinfection Validations, devices are inoculated with an appropriate concentration of organism(s) and allowed to dry. The disinfection procedure is performed on each device and then the devices are rinsed in sterile water. Each device is then extracted and bioburden is performed on the extracts to determine the number of organism(s) on the positive device compared to the disinfected devices. 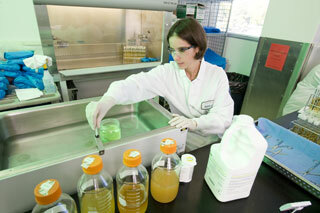 High-Level Disinfection: This test requires a 6-log reduction of Mycobacterium spp. Intermediate-Level Disinfection: This test requires a 6-log reduction of four common vegetative organisms (i.e., Klebsiella pneumoniae, Pseudomonas aeruginosa, Staphylococcus aureus, and Escherichia coli) and a 3-log reduction of Mycobacterium spp. Low-Level Disinfection: This test requires a 6-log reduction of four common vegetative organisms (i.e., Klebsiella pneumoniae, Pseudomonas aeruginosa, Escherichia coli, and Staphylococcus aureus). If you have additional questions about Disinfection Validation services for reuse devices, or would like to consult with the experts at Nelson Labs, just send us a request or call us at +1 (801) 290-7500.